Our client’s garden was originally a split level lawn with a very basic pond on the lower level. Having carried out significant modernisations to the inside of the property, they commissioned us to design a garden that compliments their inside living space. 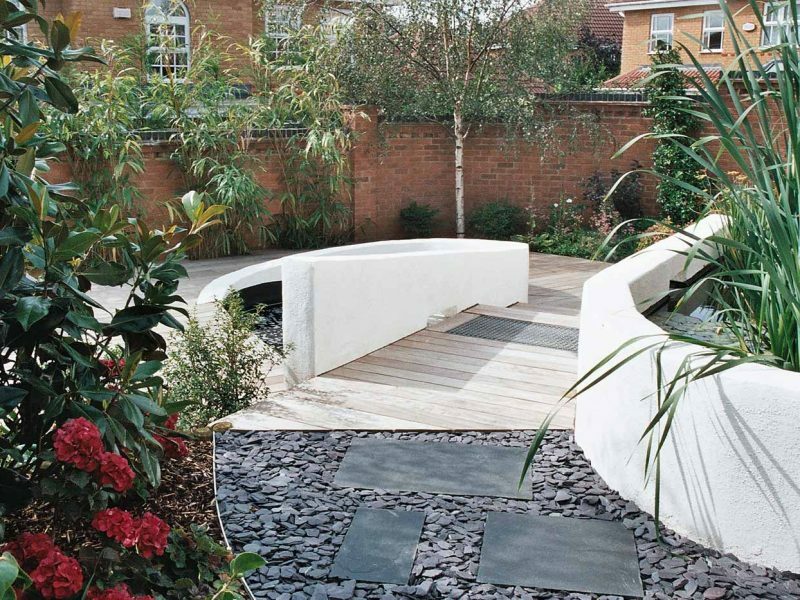 The brief was to create a modern, contemporary garden with rendered walls, luscious, tropical-style planting with a place to dine outdoors and a secluded seating area if possible. 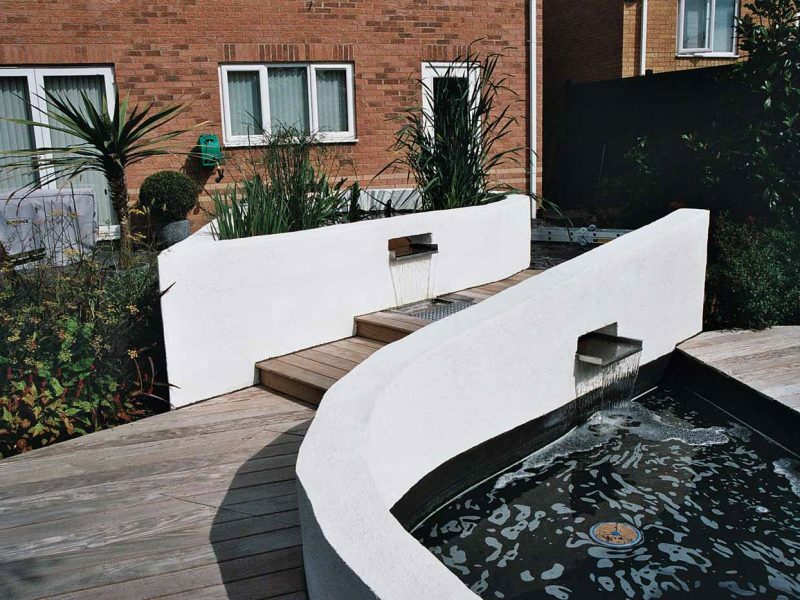 Another key element of the design was to incorporate a new Koi pond into the scheme. 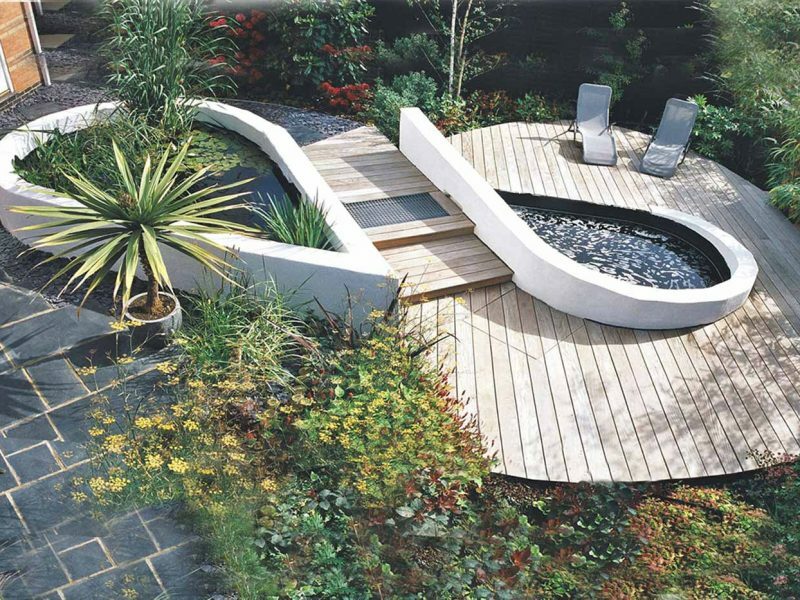 We developed the design on a large sweeping ‘S’ shape to create flow and movement around the garden. The dining area was naturally positioned close to the house on the upper level and laid using black limestone. The secluded seating area nestled comfortably on the lower level, which was created using hardwood decking. We utilised the change in the level to create a striking water cascade between the two ponds, the water flows out of the top pond, under a grill in the step, then out through a letterbox opening in the lower pond. 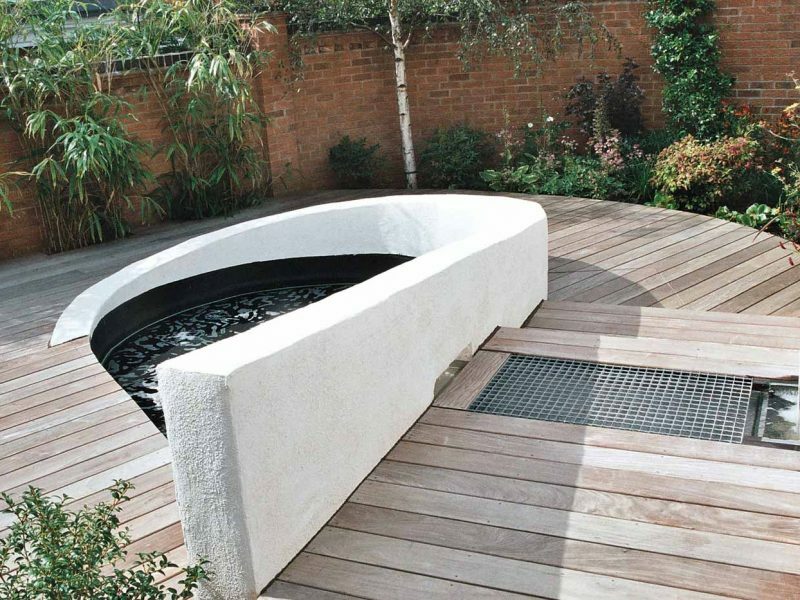 This arrangement created fantastic views back up the garden as well as giving the sound of running water. 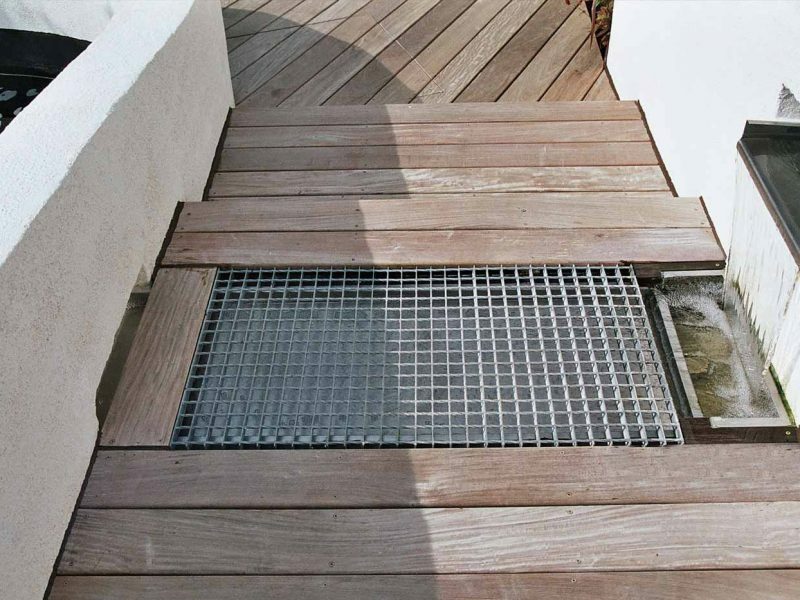 This also allows the Koi pond to be filtered through the upper pond, meaning the whole system works harmoniously.